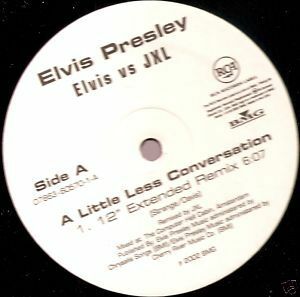 RCA 07863-60570-1 vinyl single (2002) Elvis vs JXL 1. A Little Less Conversation - 12" Extended Remix 6:07 2. A Little Less Conversation - Radio Edit Remix 3:30 3. A Little Less Conversation - Original Version 1:39 Near mint in plain sleeve.